Log into your Wordpress admin panel and go to "Plugins" → "Add new". Enter “whatshelp” into the "Search plugins" field. 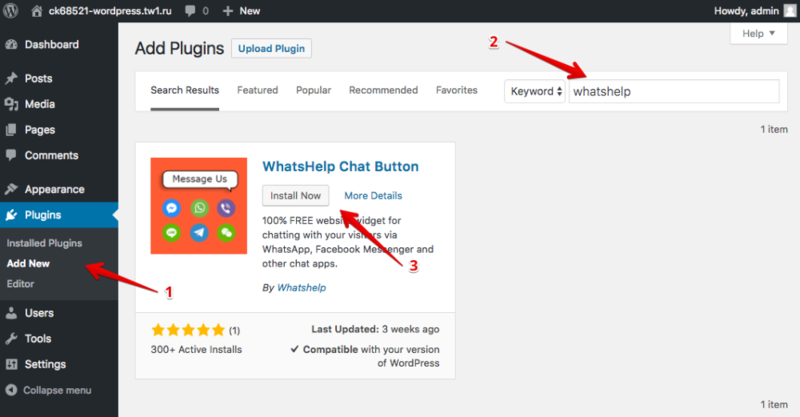 Also you can find the plugin into Wordpress Plugin Directory. On the left navigation menu click on “WhatsHelp". Click on the link in "Step 1" on the setting page and open the button constructor in new browser tab. Create your button and copy the widget code. 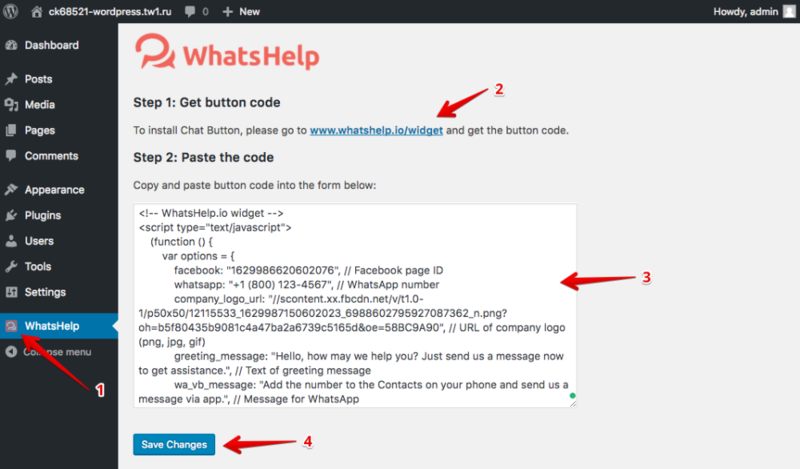 Go back to Wordpress console, paste the code into the form on Step 2 and press on "Save Changes". If you took all the steps and cannot see the widget, please check if you have any caching plugins installed. The widget should appear after you clear the cache.